The cherry blossom spring is in full swing in our little west coast town. 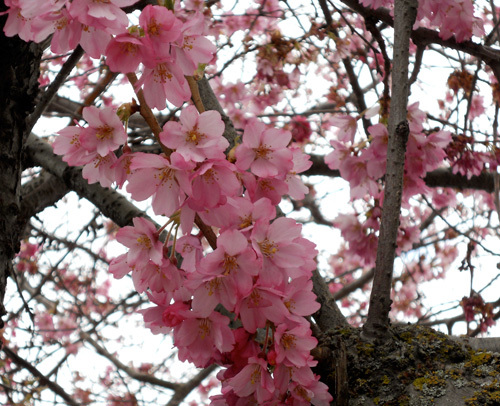 All the early cherry and plum trees are open, and the fluffy showy large blossom ones should be blessing us soon. Happy days. Some pretty blossoms near our home. 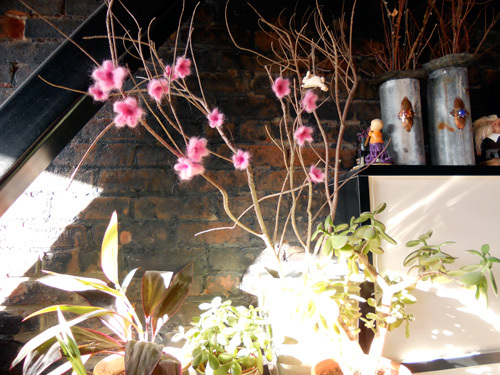 Last year I made a bunch of needle-felted wool blossoms to adorn some bare branches; bringing the spring in! They were eventually turned into hair clips.